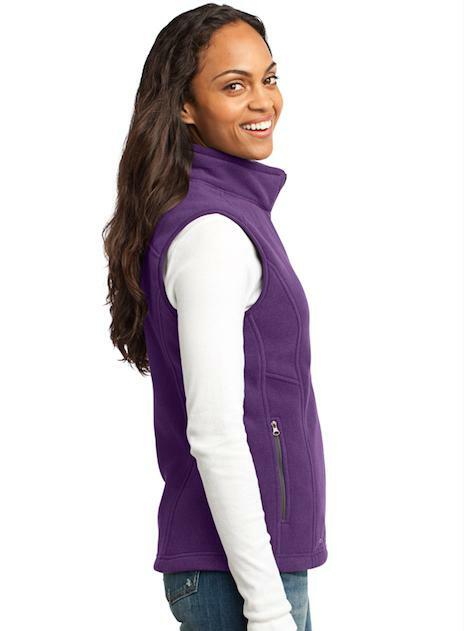 Eddie Bauer fleece vest will insulate your core with this soft, cozy vest. 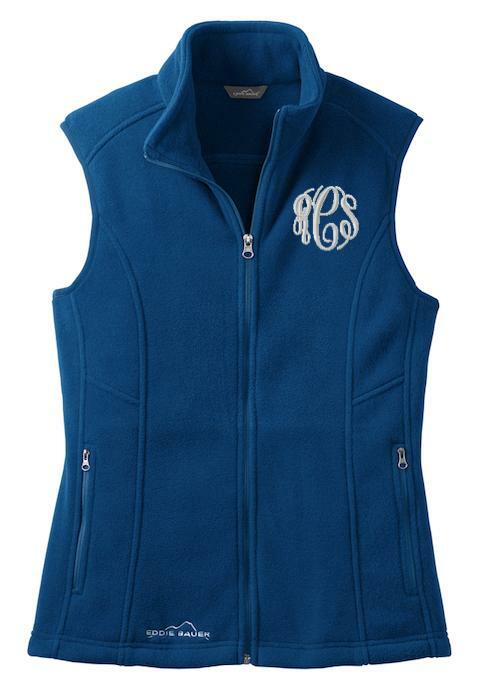 Princess seams, reverse coil dyed-to-match zippers, front zippered pockets with tricot lining, binding at armholes and an open hem makes this great monogrammed vest very stylish and comfy. 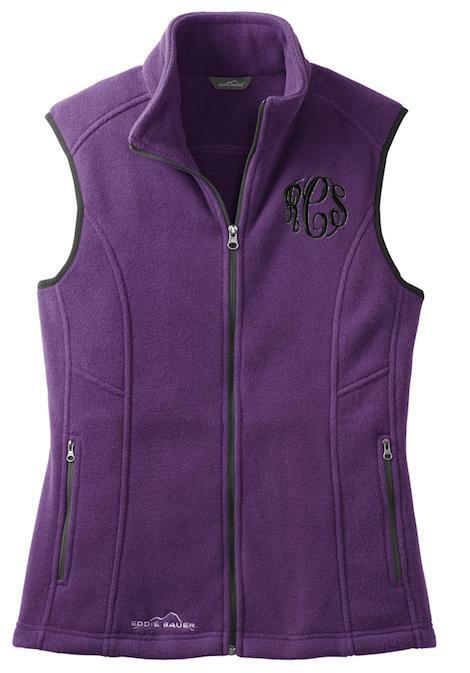 Contrast Eddie Bauer logo embroidered on right hem and your monogram on the left chest area at 3 inches . Made of 12-ounce, 100% polyester fleece which incorporates softness and performance in sizes x-small to 4-xl. 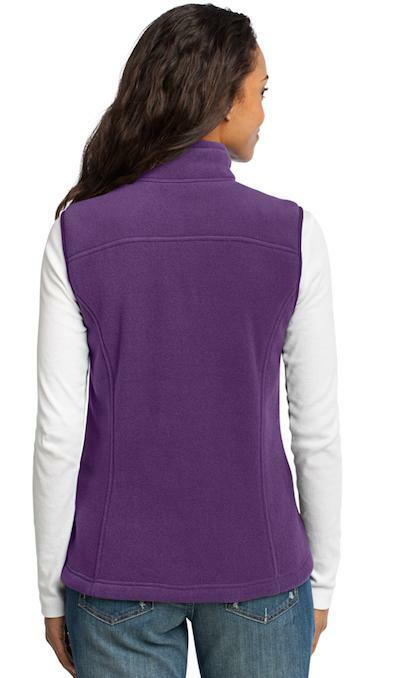 Colors include grey, purple, black and sea blue that will go great with any outfit. I wear mine with jeans and with or without a jacket. 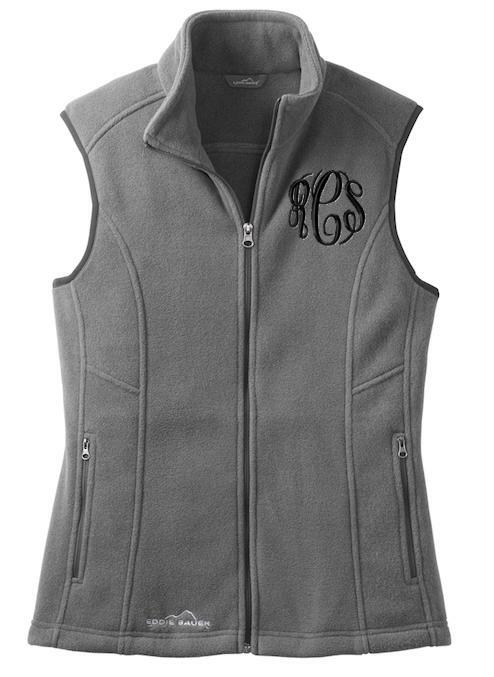 This basic vest will be a staple for years to come.